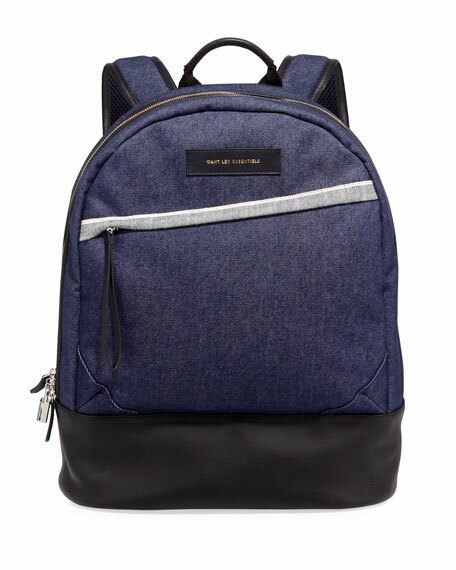 WANT Les Essentiels de la Vie backpack in denim with leather trim. Top handle with hanging logo tag. Interior, laptop sleeve; slip pockets. 16"H x 13"W x 6"D.